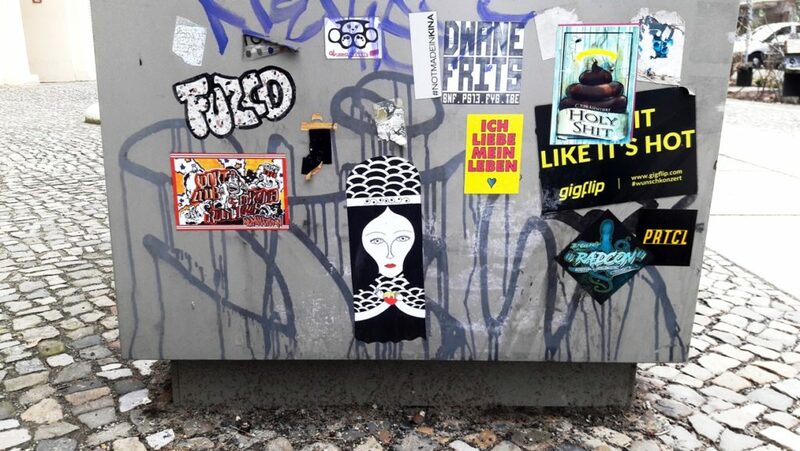 During a walk through Berlin-Prenzlauer Berg you can find the amazing small street art of Fred Le Chevlier. 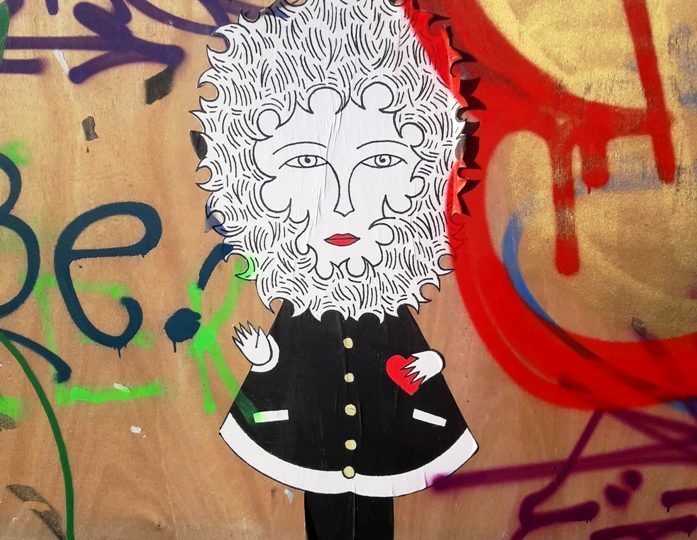 Fred Le Chevalier – which means Fred The Knight, a name that is inspired by historical literature – is a Paris based street artist who hits the streets until 2009. Since this time he spread many thousand pieces to the streets. 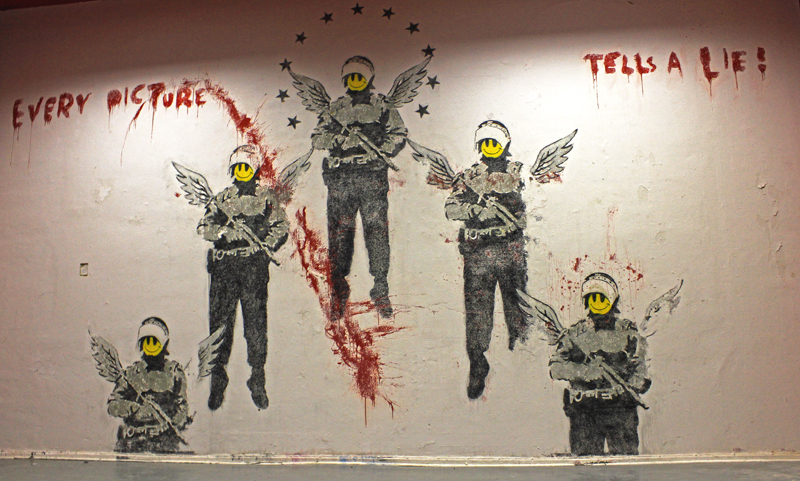 We are very thankful that he also shares his streetart with Berlin again. 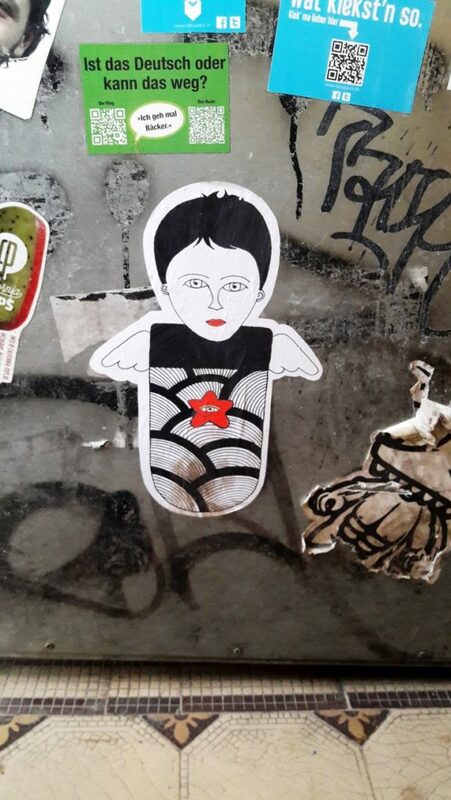 The (street) art of Fred Le Chevalier is always in the colours black, white and red. Sometimes the combines an additional prime colour like yellow or green for example. His illustration style reminds on the Art Nouveau – but he never quoted to be inspired from this kind of art movement. He sees his influneces more from other directions like punk. 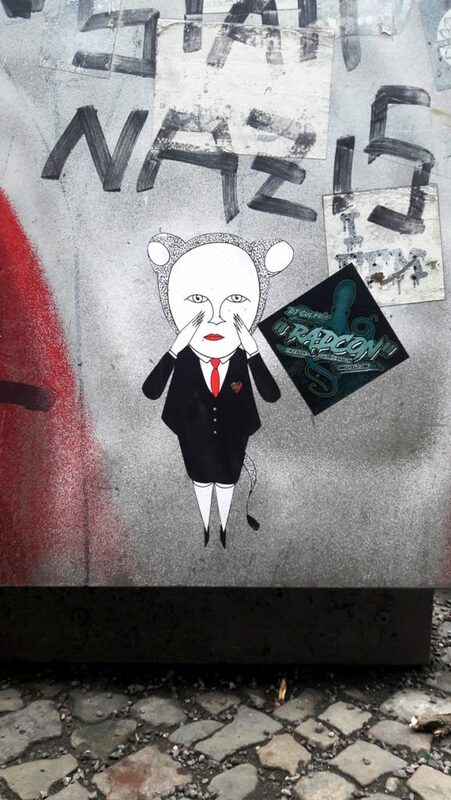 But – however the influences may be – the handdrawn small pieces of Fred Le Chevalier are always elegant and have always that unmistakable style which identifies his street art every time. 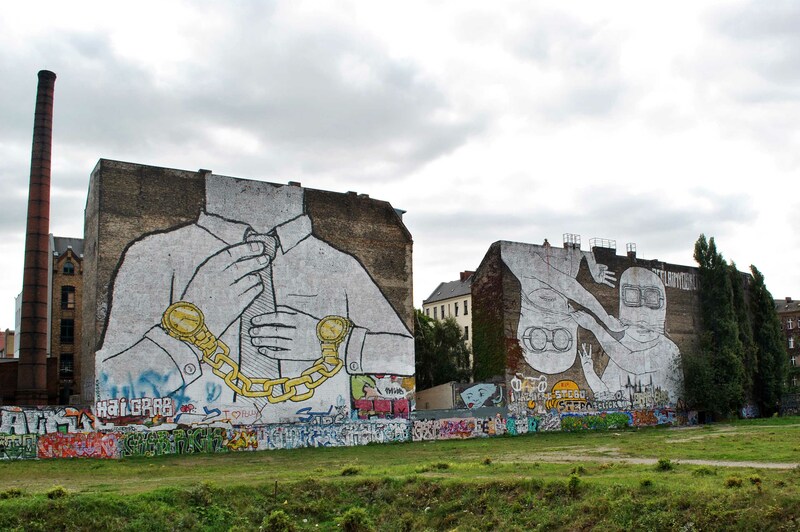 Lets see some of the pieces he left for us in Berlin-Prenzlauer Berg some weeks ago. 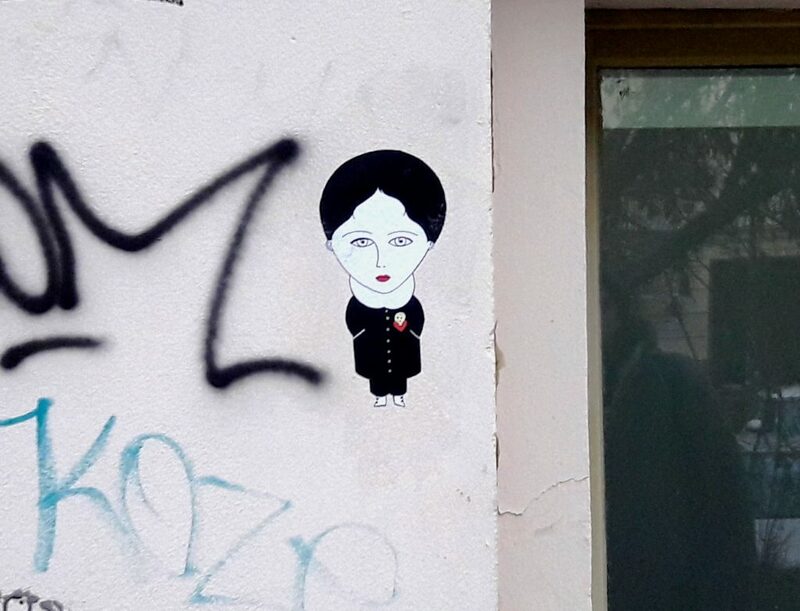 Do not worry: Of course Fred Le Chevalier hits also other areas in Berlin like Kreuzberg. 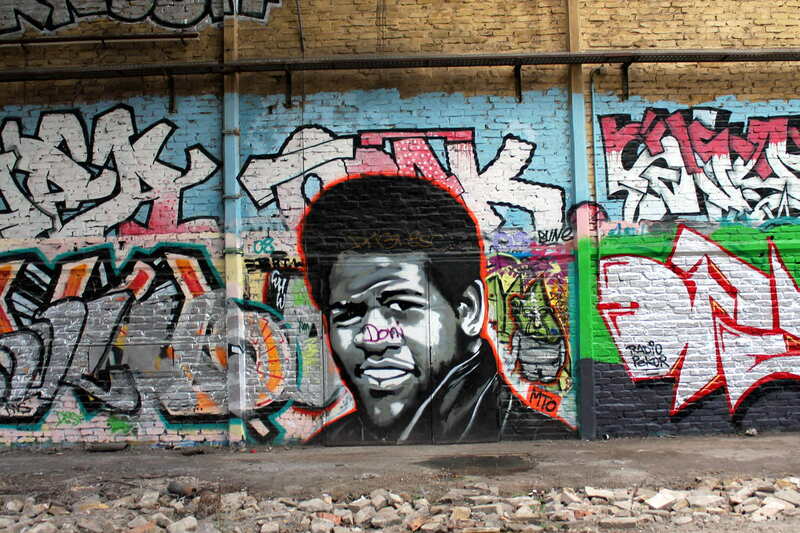 Have fun to find his streetart pieces there, too!